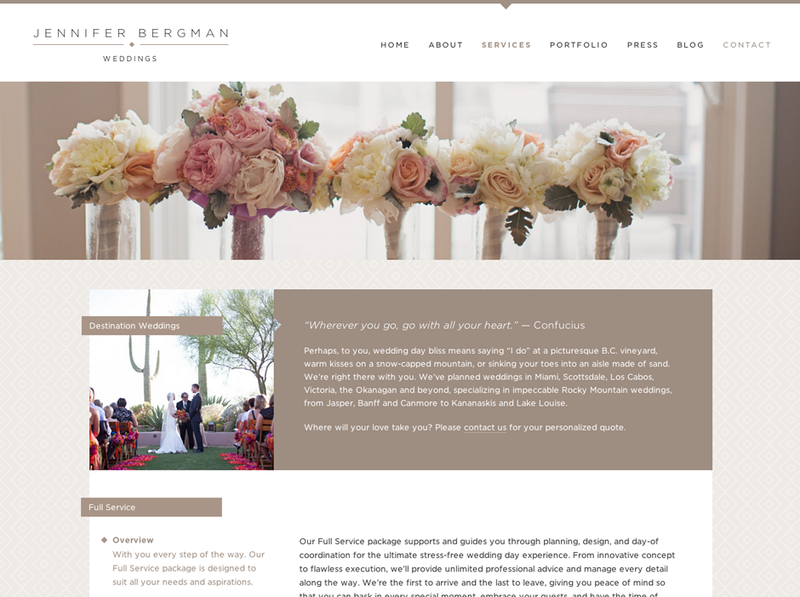 Jennifer Bergman Weddings is an Edmonton-based wedding planning and design firm that produces stylish, ‘wow’ factor weddings worldwide. 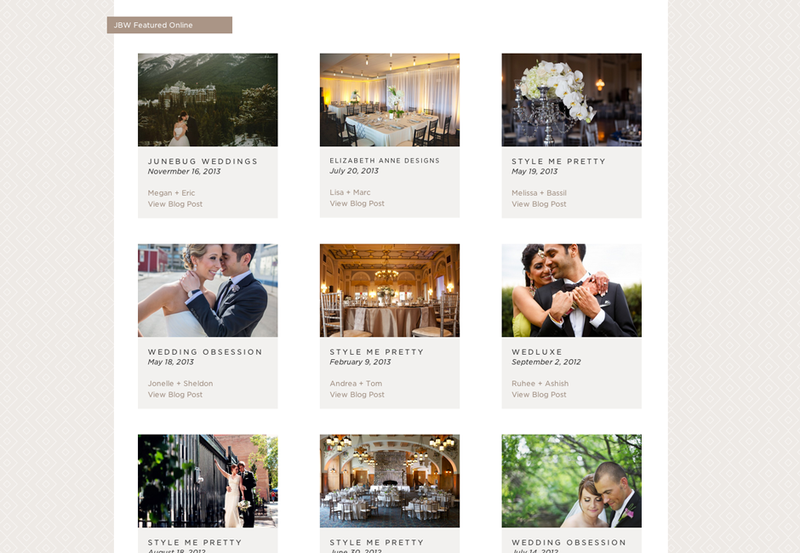 JBW brings your wedding dreams to life by honouring your vision and helping you throw one top class, unforgettable party. 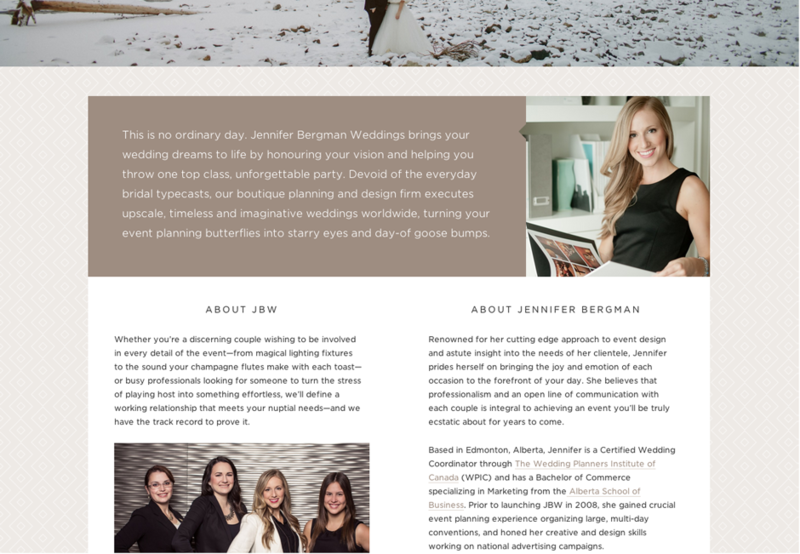 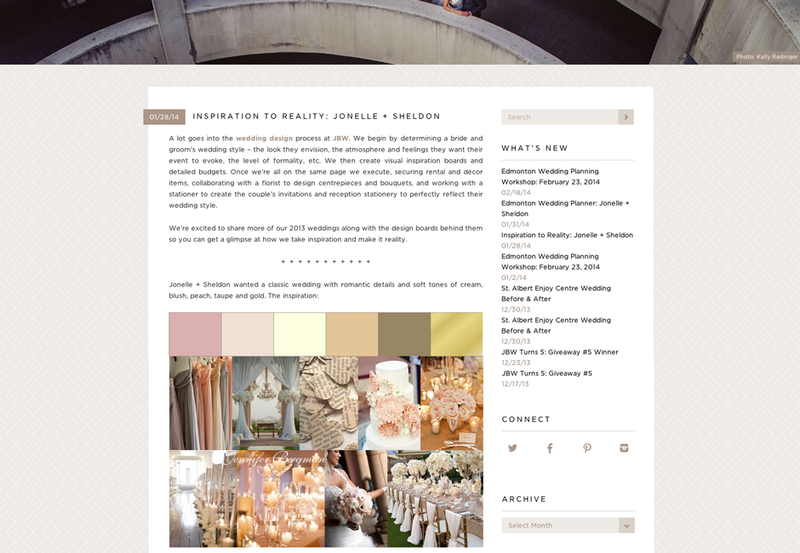 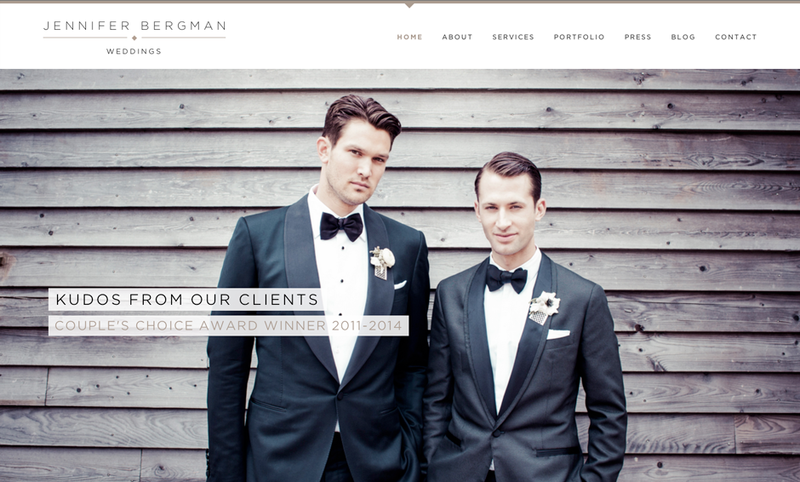 Pixel Designs worked with our partners over at Grin Design House on the branding of Jennifer Bergman Weddings.